You can accuse me of living under a rock because I haven't seen one of these before, but this is absolutely brilliant. 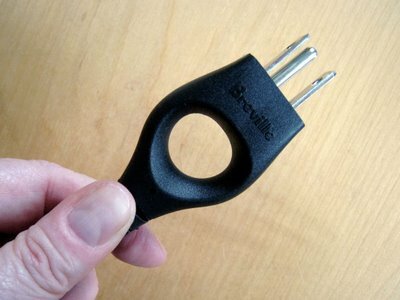 I just bought a new contact grill and take a look at the plug on the cord set. For all of you designers out there who bemoan the "stupidity" of consumers, how they won't follow directions, bla bla bla, take note of this simple design solution. The problem is as old as electric products themselves. 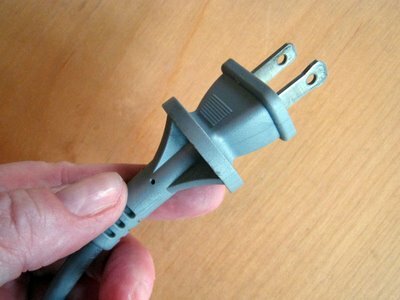 People grab the cord rather than the plug to unplug an appliance, eventually ruining the cord. The conventional solution: warn people not to do this. Put it in the instruction manual. Get irritated at them and call them stupid for ignoring this warning. Sure, either of these affordances could be ignored, but the shape of the Breville plug, top, invites us to use it in the way the designers intend. It's a message from the designer: "Here's something helpful. I'm thinking of you." Moral of the story. Design things to accommodate what your customer actually does, rather than what you think they should do. Give, in a spirit of generosity. Remember Eva Zeisel and her message to us: Design is a gift across time from the one who made it to the one who receives it.